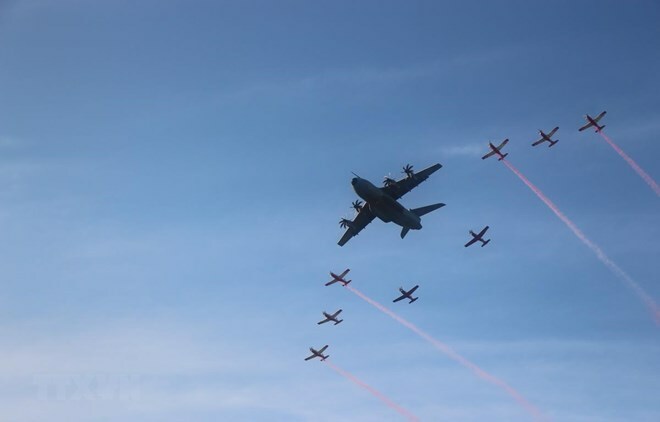 Kuala Lumpur (VNA) – A Vietnamese delegation has actively participated in activities of the 2019 Langkawi International Maritime and Aerospace Exhibition (LIMA 2019), which opened in Langkawi island of Malaysia on March 26. After attending the opening ceremony, the delegation, led by Sen. Lieut. Gen. Pham Ngoc Minh, Deputy Chief of the General Staff of the Vietnam People's Army, visited the pavilions of several major defence industry groups in the world such as Airbus, Boeing and Thales. Representatives of these groups introduced the Vietnamese guests to the most advanced technologies and latest products in the field. Within the framework of the exhibition, the Vietnamese delegation will attend a roundtable of naval commanders, a conference of air force commanders and a national maritime conference. Participants to the events will discuss maritime and aviation security and share viewpoints on maritime issues that impact on security, safety, economy and environment in the region. LIMA is the largest of its kind in the Asia-Pacific region. The 15th edition of the exhibition is drawing the participation of more than 400 firms from 32 countries and territories worldwide.